Arlingham, Gloucestershire, New Year's Day afternoon... 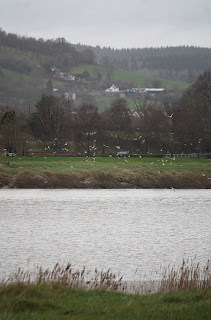 It was damp and more than a little windy, but the walk along the banks of the Severn was worth it, and a great way to start 2012. Cobwebs were well and truly blown away! Across the river, The Forest of Dean, still further is Wales. 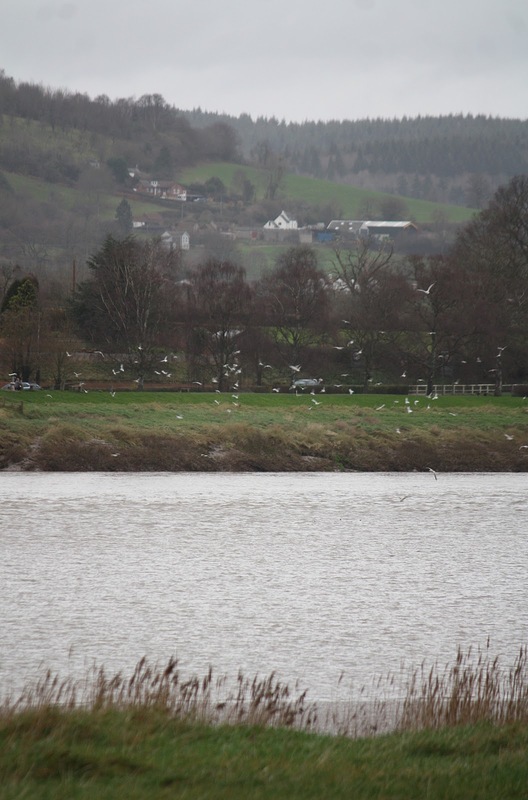 This section of the Severn is unnavigable, the only water action seen there being the Severn Bore, a tidal surge wave reaching up to 50 feet high, one of the largest of its kind in the world. If you are born in this area, you know about the bore, but I'd forgotten about it until we came down here for our walk.